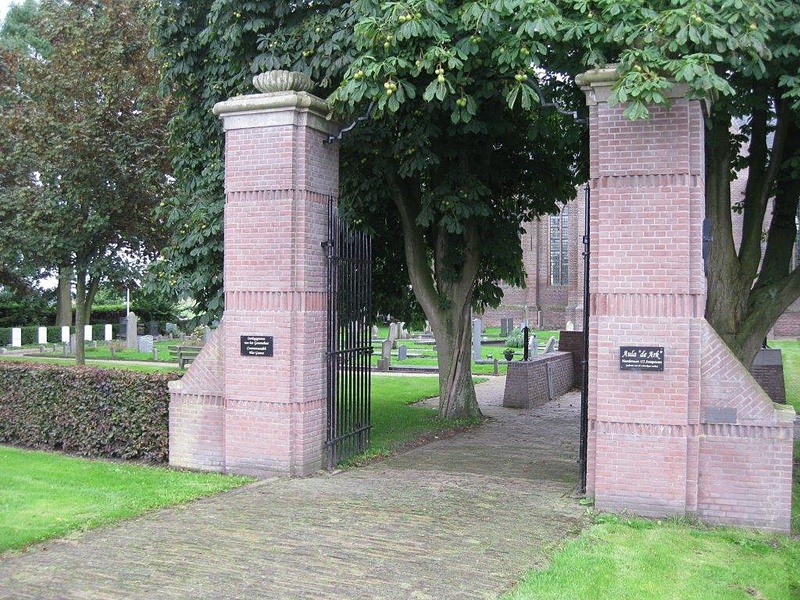 Stompetoren, in the commune of Oterleek, is 5 kilometres east of Alkmaar and 42 kilometres north-north-west of Amsterdam. Alkmaar is the most convenient centre. The churchyard surrounds the church, which is in the southern part of the village, south of the canal. 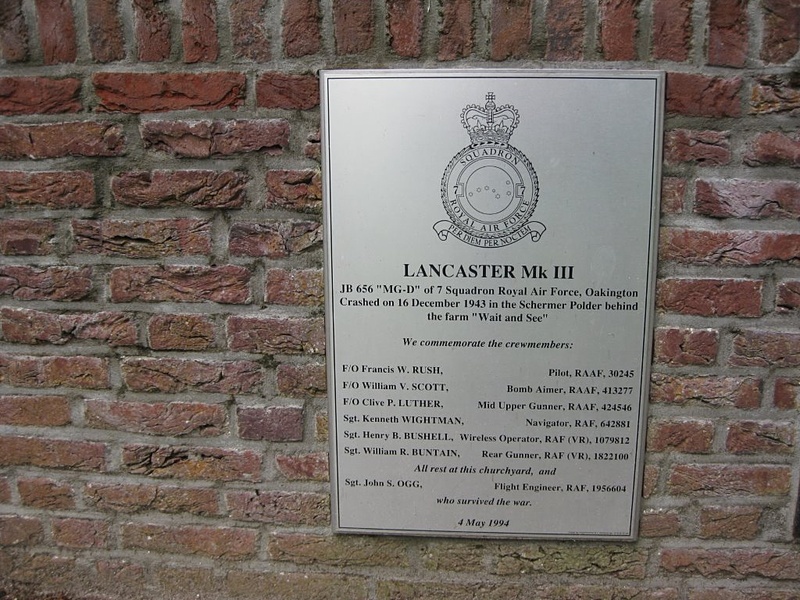 1822100 Sergeant William Robert Buntain, Air Gunner in 7 Squadron, Royal Air Force Volunteer Reserve, died 16th December 1943, aged 20. Son of William James Buntain and Mary Elizabeth Buntain, of Inveraray, Argyllshire. 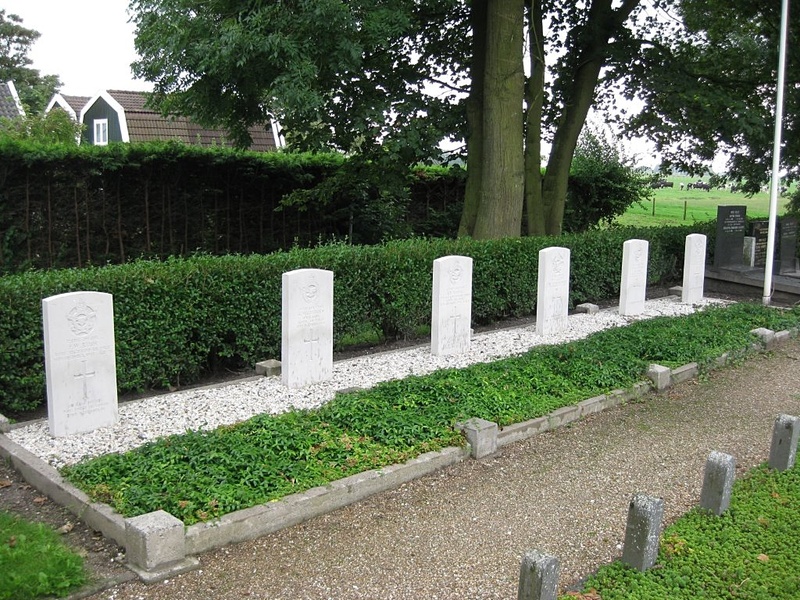 1079812 Sergeant Henry Bernard Bushell, Wireless Operator/Air Gunner in 7 Squadron, Royal Air Force Volunteer Reserve, died 16th December 1943, aged 23. Son of William and Mary E. Bushell, of Fallowfield, Manchester. 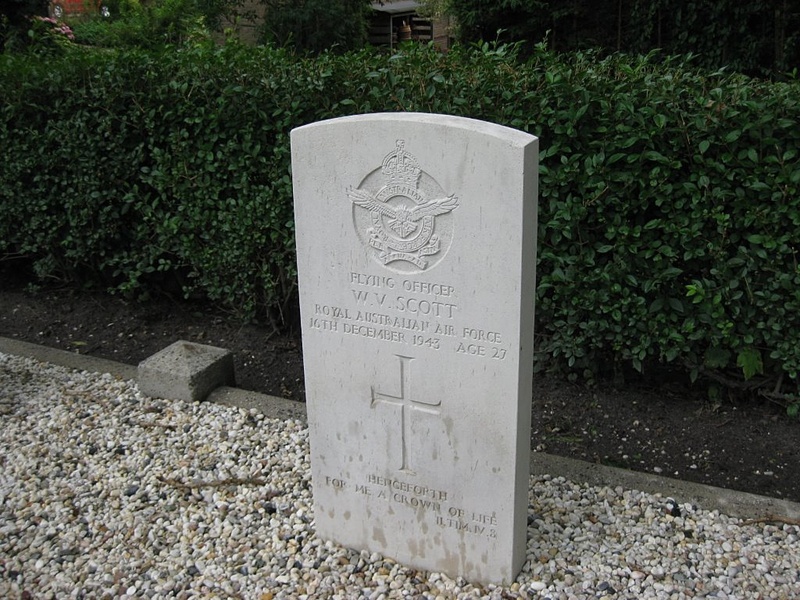 424546 Flying Officer Clive Prosdocimi Luther, Royal Australian Air Force, died 16th December 1943, aged 29. Son of Charles Royes Luther and Virginia Luther; husband of Elaine Dora Luther, of Lindfield, New South Wales, Australia. 30245 Flying Officer Francis William Rush, Royal Australian Air Force, died 16th December 1943, aged 23. Son of Francis John and Myrtle Elsie Rush, of Battery Point, Tasmania, Australia. 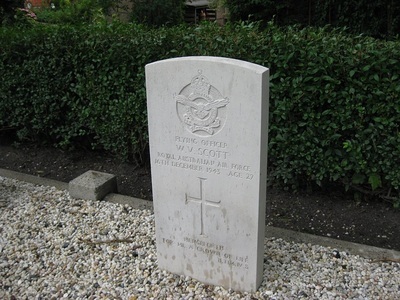 413277 Flying Officer William Verdun Scott, Royal Australian Air Force, died 16th December 1943, aged 27. Son of Thomas George and Laura Vida Scott, of West Hoxton, New South Wales, Australia. 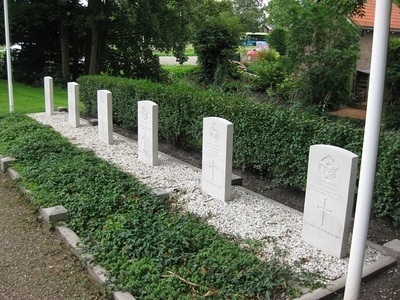 642881 Sergeant Kenneth Wightman, Navigator in 7 Squadron, Royal Air Force, died 16th December 1943, aged 24. Son of Archibald Wightman and Ethel May Wightman (nee Beetlestone).